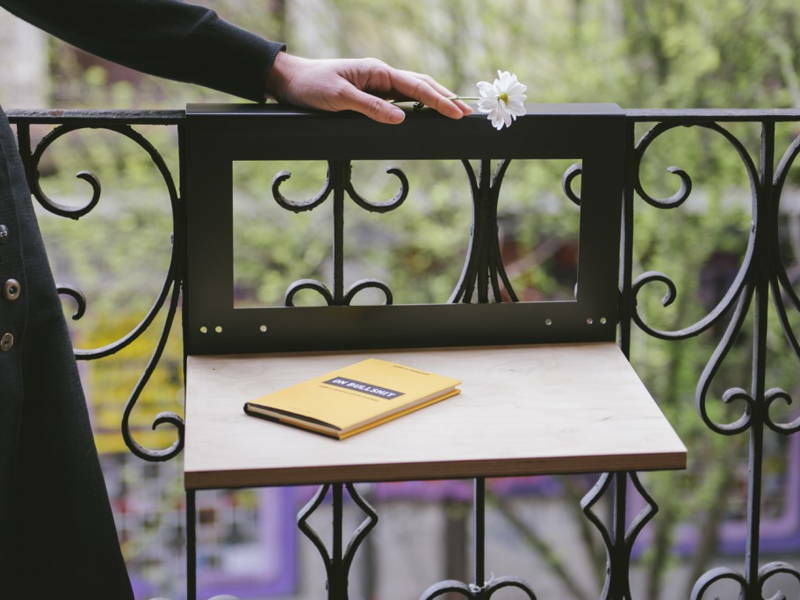 These tiny items for your tiny balcony are no less functional nor beautiful. It’s time to recognise that the balcony is prime space in the home. With some imagination, it can be transformed into your little escape – even if it IS little! So you’ve seen countless pretty ideas online that just won’t do for the tiny ledge outside your home that you call a balcony. The solution? Scale i.e. scale down. 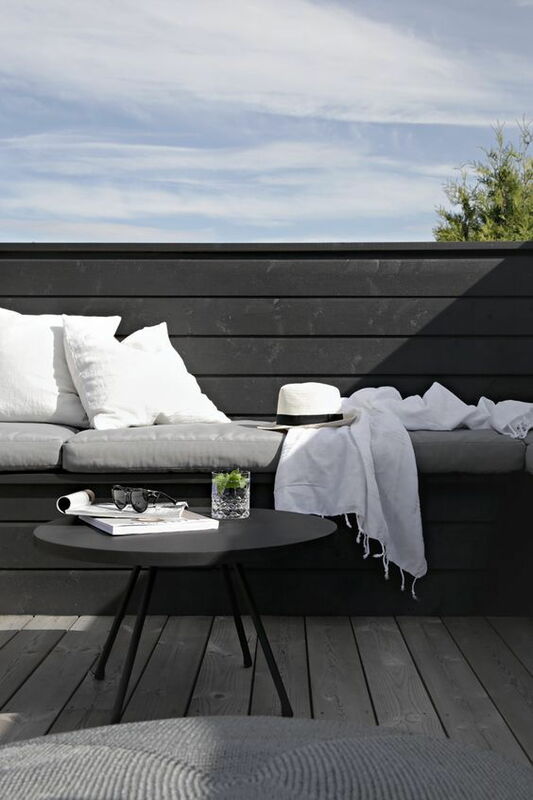 There’s no excuse for under-utilising your small balcony, all you need are even smaller furniture. They have to still be cute, of course. Since your aim is to turn it into a hangout spot or a getaway from your roommate’s terrible taste in music, seating is important. It can be small, yet comfy. 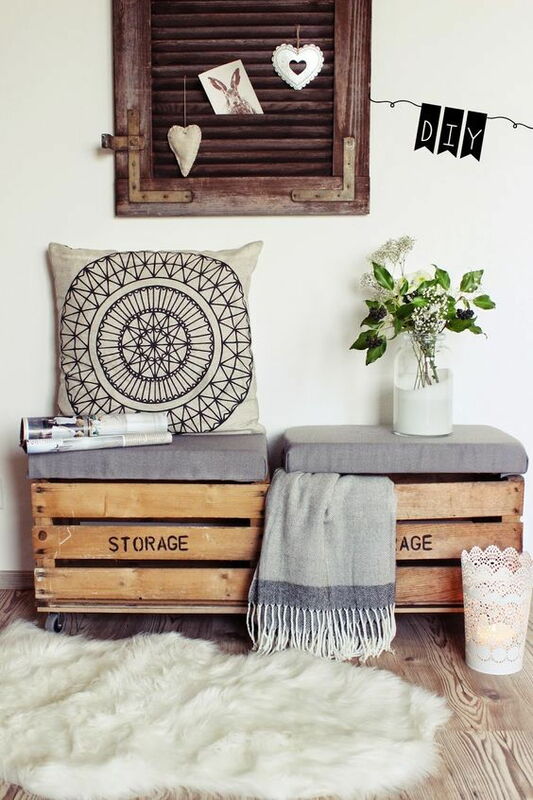 Collect (or buy) old crates for cheap and put them against the wall. Then, layer them with cushions for bum and back support! This beats an actual chair for so many reasons: it’s unique, cost-effective, and the holes at the bottom of the crate aren’t as chunky as a chair, extending the visual space of the balcony. Multi-purpose furniture are ace for a small space. A chest makes for a good seat and keeps smaller items like pillows, blankets, and books away from the elements. Ikea’s ÄPPLARÖ storage bench will only set you back RM195. 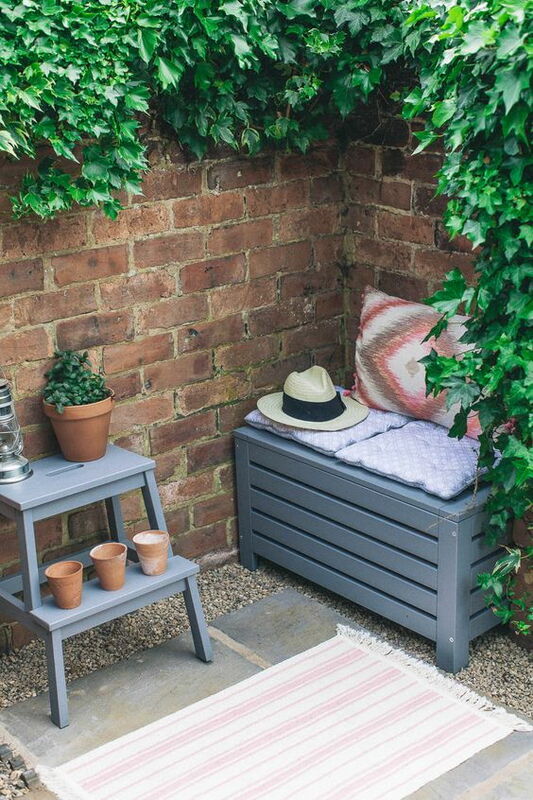 If you’re committed to transforming your balcony into a trust reading corner or even a spot for guests, then a built-in bench is the way to go. Benches that seem to hang from the wall safe floor space which you can dedicate to rugs, or feet. Foldable chairs are handy as you can store them away to make floor space for lounging or even yoga. They’re also a good thing to have at home because you’ll have an extra seat for when your cousin pops by with her new arm candy during family reunion dinners. Petite furniture don’t need to scrimp on seat surface. Seats and tables with skinny or singular legs take up less floor space and keep the balcony looking less cluttered. These pretty ones are from a homegrown store that restores vintage items, Second Charm. Balconies make good secondary dining spaces – pair those poached eggs with the view of your neighbour’s laundry. 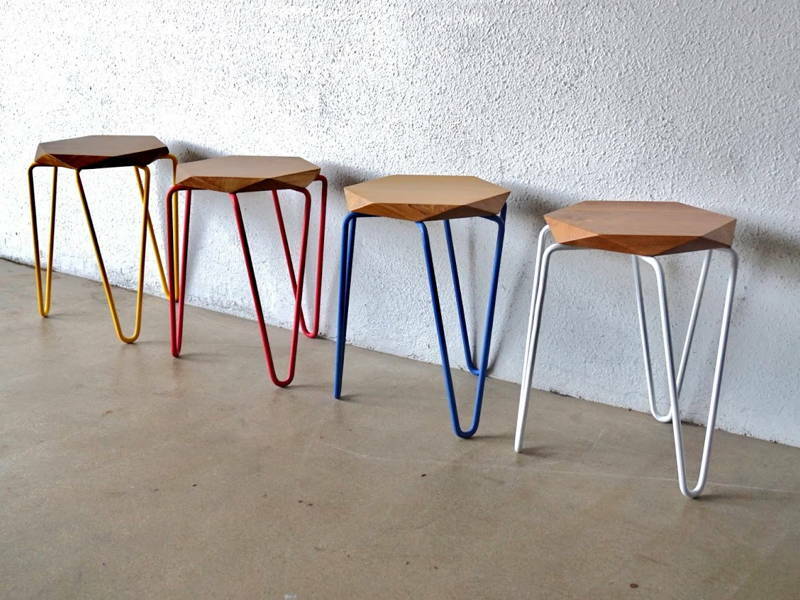 Instead of a space-consuming table, use a stool as a side table or coffee table! 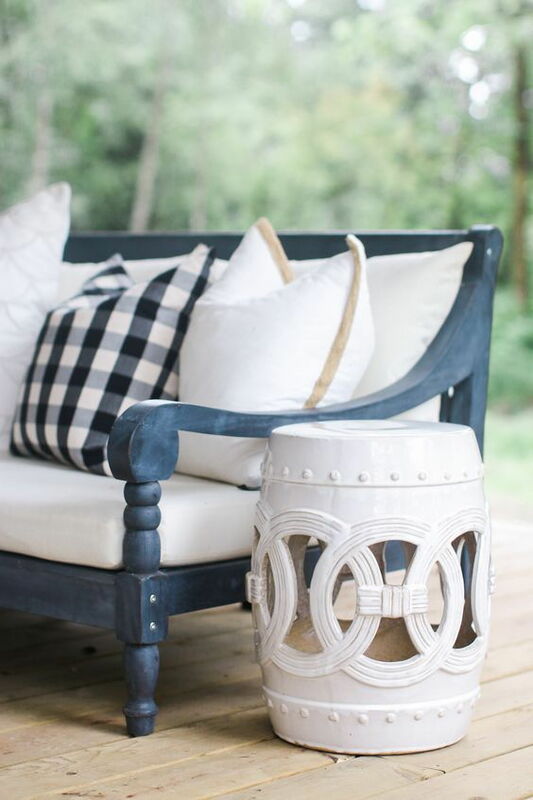 We especially like decorative and petite garden stools – they totally fit the outdoor theme too. 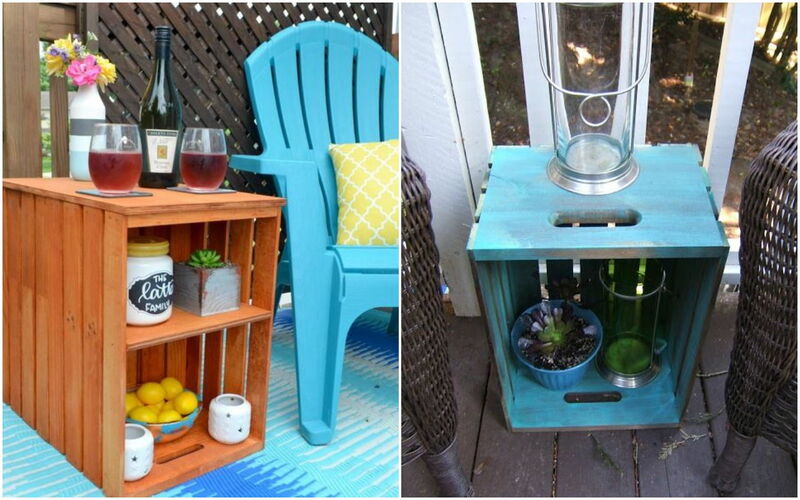 Turn a crate on its side to use the top surface as a table, and the compartment at the bottom as storage – genius, no? If you don’t need the storage, then just flip the crate upside down. Paint it or stain it to a colour of your choice! You might have to whip out your utility belt for this one, or engage a carpenter. 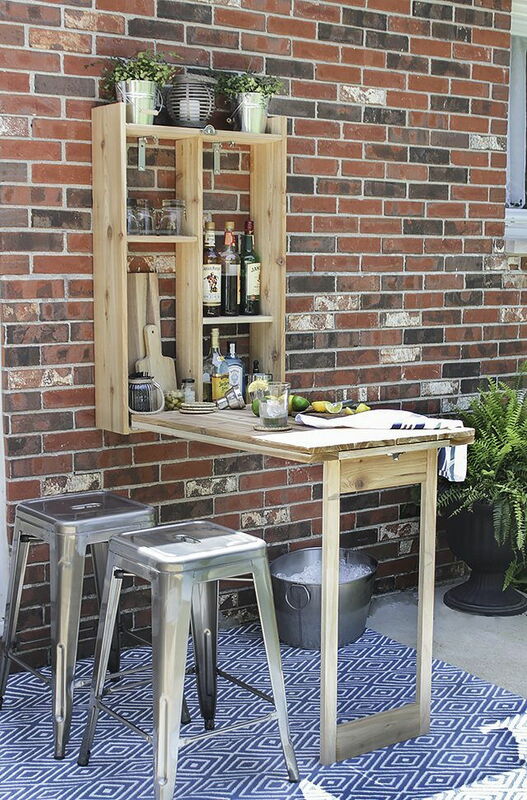 This foldout murphy bar is space saving, and more importantly, so cool. Storage plus table surface minus the cumbersomeness. For some, the railing is the longest side of the balcony. Make use of that space with a railing table – super space-efficient. Most of us don’t have the luxury (or the burden) of a full-blown garden. The balcony is a good place to inject calming greenery. No horizontal space? Then hang your plants! 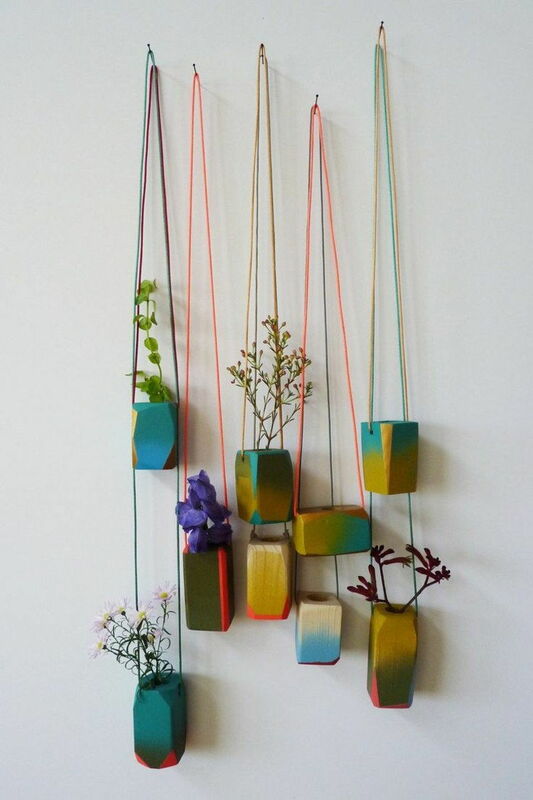 Hang your herbs or flowers on wall planters or have them suspended from the ceiling. No idea what to plant? Try one of our edible plant or air-purifying plant recommendations. Another way to expand the visual line upwards is by using plant stands. With stands of varying heights, and a variety of plants, you’ll have a unique little garden that steers clear of Marley’s digging habits. A practical balcony isn’t good enough. It has to meet social media standards. You’ve heard of fairy lights, but have you heard of modern brother, globe lights? 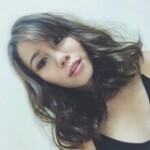 Necessary for that touch of whimsy – for your pensive Instagram posts, of course. 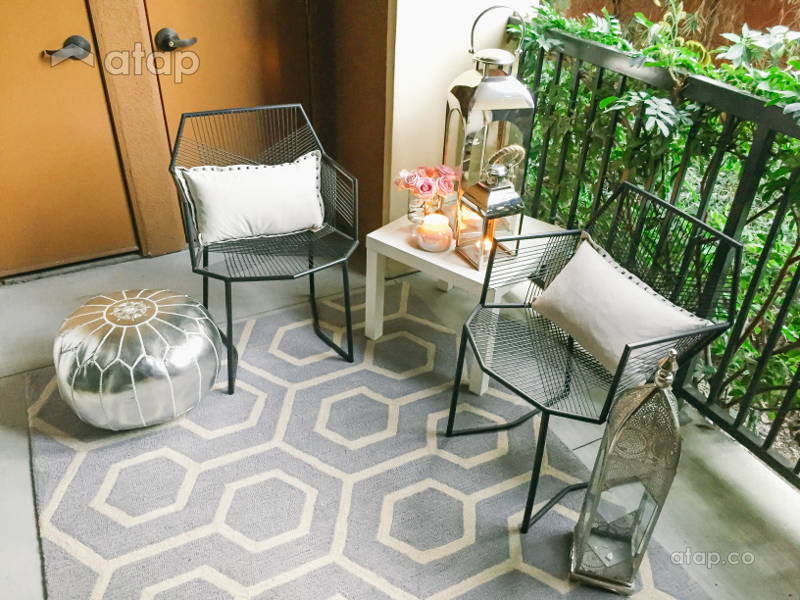 Rugs don’t work in our tropical weather and can be too clunky for a small balcony, so try decorative mats instead. Get small ones to mark different spaces, or just put one under your seating area. 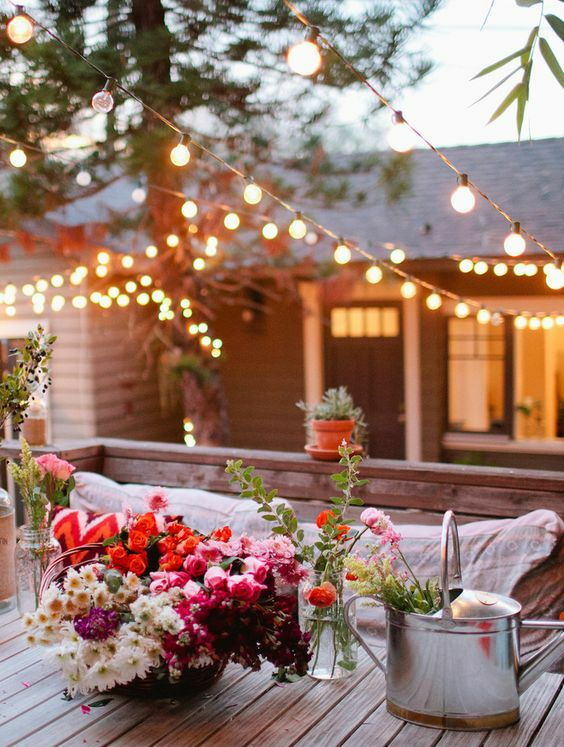 In need of ideas to spruce up your balcony? Get in touch with Malaysian interior designers.